I prefer my ruins to be created the old fashioned way, through years of decline and neglect. If they are the result of a catastrophic event, I prefer that the horror of that event will have receded in history so that we can only guess at what the victims might have gone through. 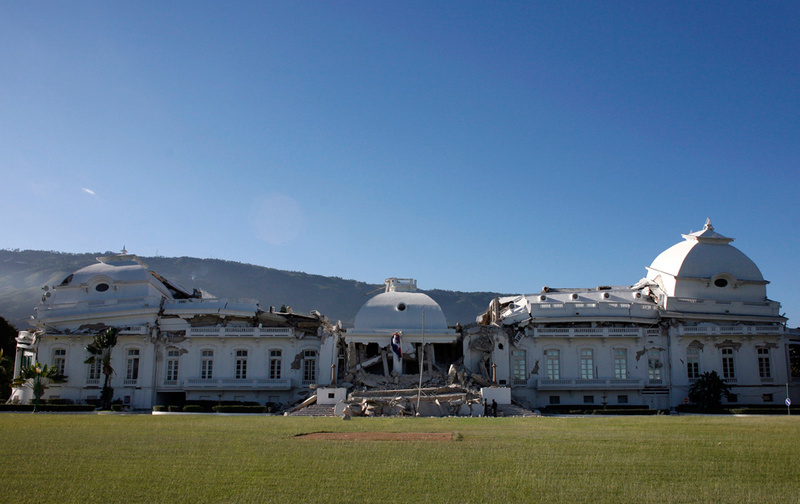 Haiti is not that kind of ruin. The images above are of the Presidential Palace. The building has pancaked, like many other buildings in Port-au-Prince. Washington Post writer Lee Hocksteder filled in a little background about this building, “almost a mirage in a city of mean, sprawling slums, rickety tin shacks and jury-rigged infrastructure.” It was built in the 1920s when the US Marines occupied Haiti. Haiti has a tragic history of violence and corruption under the infamous Duvaliers and their successors, but recently had achieved a fragile measure of stability under Rene Preval. However, the country remained the poorest in the Western Hemisphere, with 80% of its people in poverty, 50% in abject poverty. 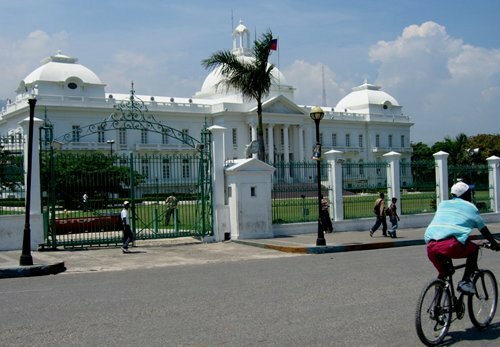 The Presidential Palace was in some ways a beacon of hope, something Haiti could be proud of. Hope for Haiti will come from elsewhere now. The video is Arcade Fire’s beautiful song “Haiti.” Singer Regine Chassagne is of Haitian descent. They’re suggesting donations to Partners in Health, an organization they also supported on their last tour. Given the Canadian Government’s offer to match donations made by Canadians, I have taken them up on this suggestion. This is also the group that will receive the $5 donations made by texting HELP to 1291 on Rogers cell phones.